THE ORDER WINDOW CLOSES SOON, DON'T MISS OUT! What if Jesus set up his ministry today instead of 2,000 years ago? Modern technology, modern transportation, modern society. 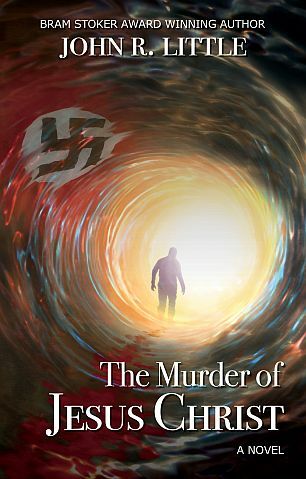 This is a riveting and jaw-dropping novel about David Abelman, who goes back in time and murders Jesus when he was a teenager. What David doesn't expect is for Jesus to reappear today as a 19-year-old black girl in upstate New York. Would he believe? Would you? "THE MURDER OF JESUS CHRIST is an epic tale full of twists and turns that will keep you engaged from the very first page. Is it a religious thriller? Faith-based science-fiction? Doesn't matter. In the end, it's a phenomenal read for the faithful and non-believers alike, and the most original thing John R. Little has written since . . . well, since his Bram Stoker Award-winning novel MIRANDA! Buy it now. As God is my witness, you won't regret it."